One point was all that prevented the Bulldog volleyball team from testing themselves against the best Saturday at the Jane Leupold Sweet 16 in Las Cruces. 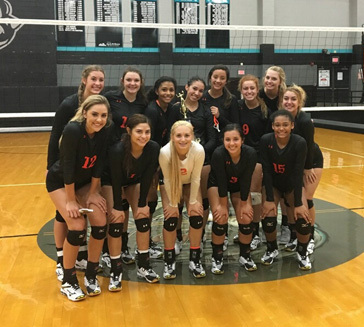 But while that pool play point kept the Artesia High School netters out of the championship bracket, they made their trek west count, picking up a pair of wins over Gadsden and El Paso Pebble Hills that gave them a consolation title and an overall early-season record of 3-0. The ‘Dogs opened pool play Friday morning with a 21-25, 25-22 split with El Paso Jefferson. Both went on to fall to Centennial 0-2 and defeat Chaparral 2-0, which tied them for the pool’s second seed. That left it to the point differential, and the Lady Silver Foxes took that by one. In evening pool play, Artesia swept all three of their opponents – Alamogordo, Silver and Ruidoso – 2-0, placing them in a bracket-opening game Saturday against Gadsden. The Bulldogs were dominant against the Panthers, winning in three – 25-13, 25-15, 25-18 – to advance to the bracket’s championship game. There, they would have little more trouble out of the Lady Spartans of Pebble Hills, completing their tournament run with another 3-0 win (25-16, 25-18, 25-20). The Bulldogs were led offensively on the weekend by seniors Bailey Pearce and Stacia Martinez, who logged 23 and 13 kills respectively over the course of their two bracket matches. 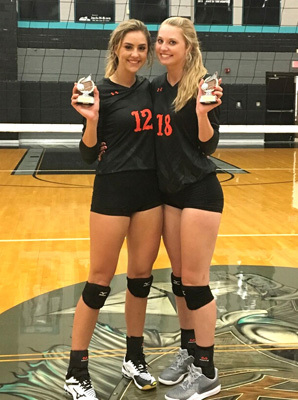 Alexa Riggs had 18 digs defensively, Kyrah Gonzales and Elliot Harrison posted 33 and 29 assists respectively, and Riggs added five aces from service. Pearce and fellow transfer Malori McSpadden earned All-Tournament Team honors for their performances. The Bulldogs will now prepare for their 2017 home opener Tuesday against Class 6A Hobbs at 7 p.m. at Bulldog Pit. The Eagles are currently 0-4 on the year, having been swept in their opening matches by Roswell High, Clovis, Lovington and Goddard. Tuesday will also be Hawaiian Night at Bulldog Pit, and fans are encouraged to dress or accessorize accordingly.